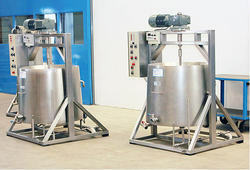 The Mechanized Indigenous Plant are used in dairy industries for host of applications. These plants are commissioned and installed at turnkey basis and is used in the process of manufacturing paneer, rassogulla, yoghurt, lassi, peda and gulab jamun. The plants are also provided with automatic packaging system. Being a well-established organization, we are engaged in offering a distinguished range of Lassi Maker. To furnish the diverse requirements of our clients in the best possible manner we are involved in offering an extensive range of Lassi Blender. Lassi Making Machine is used to manufacture the plain and table butter from the milk cream in batch process ranging up to 10 KL rated capacity available with eddy current drive or A.C. Frequency drive. We are one among the very few manufacturers of Heavy Duty Lassi Machine. 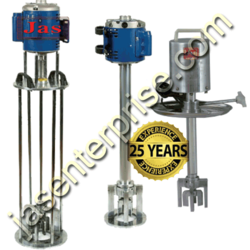 Our lassi making machine is well known in the industry due to its reliability and ease of use. The butter extractor offered by us is used to extract cream from the milk. - Reverse / Forward Facility.